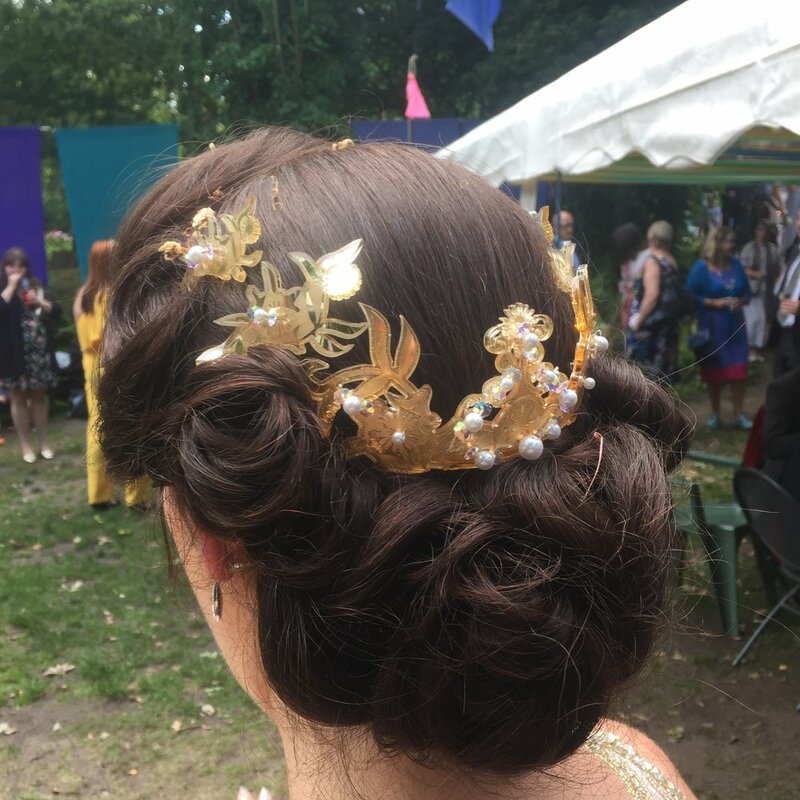 Gemma wanted a head piece that would compliment her 1920's style dress, full of sparkle and hollywood glamour, but that would decorate her elegant up do. We used the motifs from her dress to create a design that echoed the Art Deco aesthetic of the swing era and fashioned a collection of 5 separate combs to be arranged around the hairstyle creating a corona embellished with pearls and swarkovski crystals; that had been treasured and saved by the bride for a special occasion. MILLA - "SPACEY VISOR VEIL"
ANNIE - "IVORY ROSE TIARA"
So, for Annies head piece we used the delicate rose pattern from her lace overcoat as the motif for the crown. We laser engraved our design into cream perspex and rubbed over a white finishing wax to create a carved ivory aesthetic (without the cruelty or cost!) We then heat moulded the crown to fit to Annies head shape perfectly. 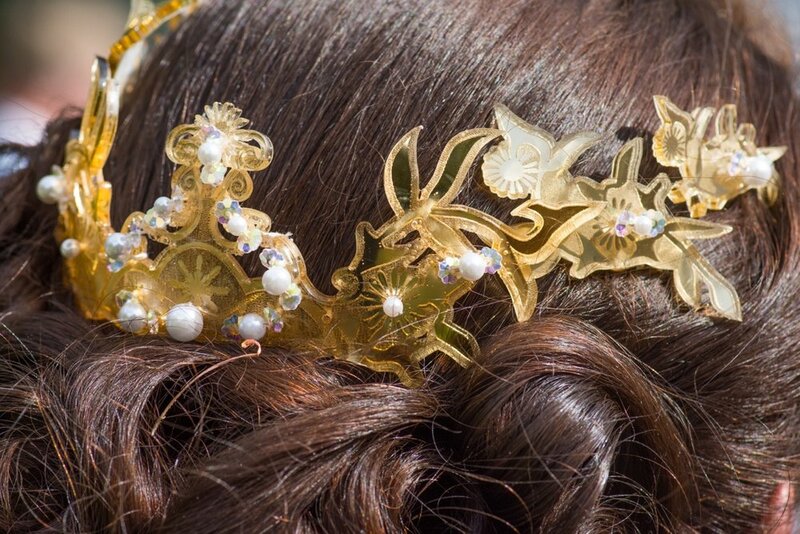 The result was a lightweight, luxury crown fit for the romantic Austen inspired wedding. We also made the cake topper, tie pins, flower girl bracelets and bridesmaids favour necklaces with the same motif.